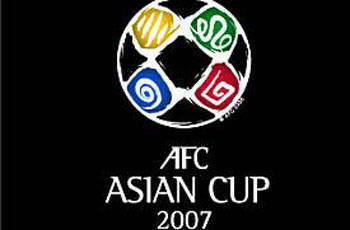 AFC Asian Cup 07: Iraqi Victory!!! Iraq have secured victory over Saudi Arabia in the final of the AFC Asian Cup 07. The historic win, Iraq’s first, came about when skipper Younis Mahmoud scored in the 71st minute. The Iraqi boys were clearly the superior team – the Saudis rarely threatened the goal-mouth. Only excellent keeping from Yaser Al Mosailem kept the score from spiraling. The game was a fairly rough one, with Australian referee Mark Shields dealing 5 yellows in the first half. But he did keep control of the affair – and the result was well deserved. South Korea vs Iraq – I predicted a 3-2 win to South Korea… 0-0 scoreline, then Iraq winning 4-3 on penalties. Japan vs Saudi Arabia – I stated I felt it would be a 2-1 win to Japan, and they fell short of that, the Saudis winning the game 3-2. So, I’m back from my lil’ country sojourn, and I’m well due to post some commentary on what’s been going on in the Asian Cup… so here goes! Iraq 2 – Vietnam 0: well, I am not surprised with this result. Iraq have long been a good team in Asian football, and Vietnam are a relative newcomer. 2-0 is an accurate reflection of the distance between the two teams. Still, Vietnam’s had a good tourny, and will improve over the next few years. Saudi Arabia 2 – Uzbekistan 1: Impressive stuff by the Uzbekis to stay within striking distance of a real powerhouse team in the Saudis. And with Japan’s (hurts me to say this) deserved win over Australia, the semi finals are set. South Korea vs Iraq (6:20pm, National Stadium Bukit Jalil, Kuala Lumpur) – should be a good game, but if the South Korean team can continue their current form, I think they’ll run out winners. Both teams attack well, so I’m predicting a 3-2 scoreline. Japan vs Saudi Arabia (8:20pm, My Dinh National Stadium, Hanoi) – a damn good game here. I think Japan have the goods, but it will be close. The Saudis have flair, but I think the Blue-boys will win 2-1. That will mean we’ll be faced with a South Korea vs Japan final, and as far as drama… it just doesn’t get any better. China were beaten by Uzbekistan, 3-0. This loss eliminates China. Saudi Arabia beat Bahrain, 4-0. South Korea beat Indonesia 1-0. This win, and Bahrain’s loss, eliminates Bahrain, and South Korea squeeze through! Iran beat Malaysia 2-0. Malaysia immediately sack their coach, Norizan Bakar. National Stadium Bukit Jalil, Kuala Lumpur – Ouch. Malaysia’s woes entered a new level now, tonight getting absolutely HAMMERED for the second time in two games losing to Uzbekistan 5-0. Sloppy defense by the home team meant that by half time, the Uzbeks had raced out to a 3-0 lead, and the game was over. Two goals late in the second half were just pouring salt on the Malaysian wounds. Malaysia have one more chance, against Iran, to try & salvage some pride. Gelora Bung Karno Stadium, Jakarta, Indonesia – This was a game that the South Korean side would be very disappointed to have lost. Firstly, the Saudi goal came off a very debatable penalty awarded by Australian referee Mark Shields to Yasser Al Qahtani, the Saudi Captain. Secondly, the power went out in the stadium with 5 minutes to go, and it was a good 25 minutes before it was restored and play could resume. The Korean side had a massive scare from the Saudis in the opening minutes, Al Qahtani just missing a header off a beautiful cross from Malek Maaz. The South Koreans settled, and the game became a midfield battle. At the 66th minute, Choi Sung-kuk scored the goal that initially put South Korea ahead. Just prior to the blackout, Al Qahtani scored the equalizer… after play resumed, neither side truly threatened.